Remember Borderless Elementary? It was quite a success and I'm not sure if that's where the Ubuntu devs got the idea from, but an update today in Ubuntu 11.04 removes the borders for the Ubuntu "Light" themes: Ambiance and Radiance, writes Neil Patel on his blog. So what else will Ubuntu remove next (don't get me wrong, most of these are a good thing)? For now, Ubuntu 11.04 will remove: the menus (available on the top panel and using autohide), the scrollbars (overlay scrollbars), the notification area and now the window borders. Update (March 12th): well, that was quick. 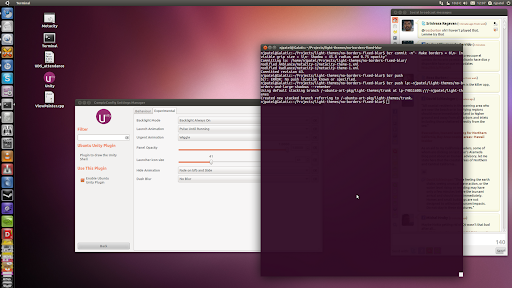 The Ubuntu Light themes have a border again after just a few hours due to an update requested by Mark Shuttleworth.